The FCA stipulates that the financial services companies operating in the UK have to keep customers’ funds in a separate account in a bank. Further, the bank where the customers’ funds are maintained needs to be approved by the FCA. Financial services companies cannot treat or use customers’ funds as company’s funds. 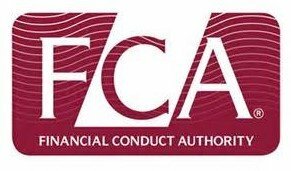 Regulated financial services companies operating in the U.K. have to submit financial reports to the FCA and subject themselves to an annual review. In the event of an FCA regulated online CFD broker going insolvent, the customers that have accounts on the broker’s website are protected by way of the Financial Services Compensation Scheme. Customers of authorized financial services companies receive 100 percent of the first £30,000 and 90 percent of the next £20,000 subject to a limit of £48,000 in total. This way the FCA ensures higher protection to individual traders. XM.com, a trade name of Trading Point Holdings Ltd, is owned as well as operated by Trading Point of Financial Instruments Ltd, which is regulated by CySEC. It is also European Union-registered forex broker. XM has its headquarters in Limassol, Cyprus. On XM’s platform, you can trade CFDs on Indices, Commodities, Stocks, Metals and Energies. Deposit Options – Bank Wire, Neteller, Skrill, WebMoney, Credit Card, WesternUnion, MoneyGram, SOFORT, UnionPay (China), etc. The forex trading platform of Plus500, founded in 2008, is provided by Plus500CY Ltd., which is a company based in Cyprus and has its headquarters in Limassol. Plus500 offers CFDs on shares, commodities, indices, forex, etc. ETX Capital, a financial services company based in the UK, provides institutional, high net worth and retail customers with online platforms for trading forex and derivatives. ETX Capital is the trading name of Monecor (London) Limited. The company offers CFDs on 5,000+ markets – forex, shares, indices, commodities and bonds. eToro, an online forex broker, offers trading in currencies, indices, commodities and CFD stocks. More than 4.5 million users from over 170 countries around the world make use of the online forex broker’s website. Founded in 2006 in Tel Aviv, the multi-asset brokerage company has registered offices in Israel, the United Kingdom and Cyprus. One of the key features of eToro is the social investment platform with Copy-Trading feature that it offers. On their platform you can trade and invest in Stocks, Indices, Commodities and Currencies CFDs. Tickmill, owned by Tickmill Limited and operated by Tmill UK Limited and Tickmill Ltd., which is a company registered in England and Wales. Tickmill has principal and registered offices in London and Seychelles. Tickmill is under the regulatory control of both Financial operates Conduct Authority in the UK and Financial Services Authority of Seychelles. The forex broker enables you to trade crude oil and international stock indices CFDs on the MT4 platform.